In today’s life having a vehicle has become a necessity. With development in different fields it has made us much more dependent on technology and with this fast paced life owning a vehicle has somewhat become a basic part of our life. If this has become common among folks then another thing that is mandatory is getting a license in order to drive a vehicle whether for personal use or driving for the job. While driving the driver should be aware of every rules and danger because that person has the responsibility of his own life and the lives of other passengers. Safety is a necessary factor which shouldn’t be ignored. Safe driving is the best driving. The driver should be aware of the safety rules and should diligently follow them. 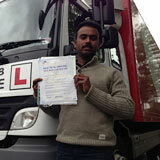 GP training centers provide good training to the people interested in driving in Woodford Green, London. We have skilled professional who not only train you to drive but to drive safely with proper instructions; they also makes the person aware of various other factors that plays role in driving and maintaining a vehicle. The professionals of GP Training schools guide the learners in their native languages like Hindi, Urdu, Punjabi, Kashmiri, English, Albanian, Arabic, Bengali, Cantonese, Dari, English, Farsi, Spanish, Tamil, Turkish, Urdu, Welsh and many more. Large Goods Training (LGV) also known as HGV training basically means the training provided for driving heavy vehicles like trucks, Lorries etc. Passenger Carrying Vehicle (PCV)means the vehicles carrying passengers from a place to a different place. These include buses, vans, etc. Certificate of Professional Competence (CPC)is the certificate that is the final step which makes a candidate eligible for being a holder of a driving license. C1-License is the license that allows one to be given the implied entitlements for vehicle categories C1 which are medium sized vehicles. The holder of this license should be at least 18 years of age. C1-E License permits the driver of this license holder to drive Lorries but only for private use not as public.C1-E 7.5Trainingis the training provided to drive vehicles weighing more than 750kg but the trailer should not be exceeding the weight of the vehicle. C+E Truck and Trailer or Lorries that permits the driver to either use Articulated or Drawbar combinations with 42 tons of trailer. 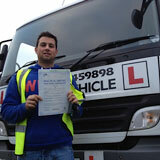 Get your B+E car and trailer training and clear in first attempt. 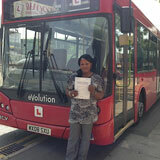 Pass Protection as the name suggests, it is a process of safeguarding ones success with the driving tests and license acquisition.D1 Minibus driver training is the training being provided to the trainee to learn the minibus driving. D1+E and Trailer combinations of vehicles are the licenses that permit the driver to drive a minibus containing 21 people combined with a trailer up to weight of 750 kg. D Automatic Bus is a driving that teaches to drive an automatic bus. 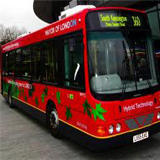 An automatic bus is easy to drive having all the features of a modern passenger bus. D Manual coaches refer to the driving of heavy load carrying vehicles like single or double-decker buses. 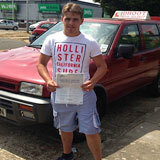 The ability of a person driving such a vehicle allows concluding the driving skills of such a driver. 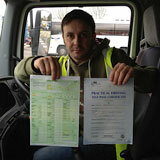 D+E Manual Coach and trailer license is a license that permits a driver to drive carrying more than 8 passengers. PCV Pass Protection refers to the method through which you are guaranteed the success of the PCV Driving Acquisition Test entitling you to the refund of the money or retests in case you fail. 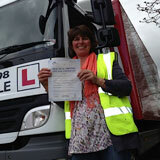 CPC Driver Training is a mandatory training required for all the drivers in order to drive the Large Goods Vehicles. Initial Driver Module is divided into 4 modules. Module 1 & 3 are a part of LGV testing. 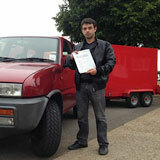 Module 2 & 4 is related to the driving tests. Module 2 contains the theory examination on the other hand module 4 is a practical examination. Driver CPC Training refers to the 35 hours of periodic training every five years on ongoing basis to continue driving for living. CPC Theory Test refers to Certificate of Professional Competence a written examination test that tests the driving knowledge of the candidate. The candidate is asked 50 questions based on several road safety measures to be taken while driving on road and various rules that should be kept in mind while driving on a crowded road; the questions include vehicle handling, alertness, accidents, various vehicle loading question and documents of vehicle. Finally, after completing the above stated steps and clearing the said exams a trainee driver becomes a full fledged driving; a license holder of the vehicle. A small sum is required for accomplishing this task. Drive safe and drive with a legal license. Book your training online or call us to get all the details you need.